Following on from THE REIGN OF THE ROBOTS, THE COLLECTED EDMOND HAMILTON, VOLUME FOUR, THE SIX SLEEPERS, THE COLLECTED EDMOND HAMILTON, VOLUME FIVE brings you more of the World Wreckers vintage works. 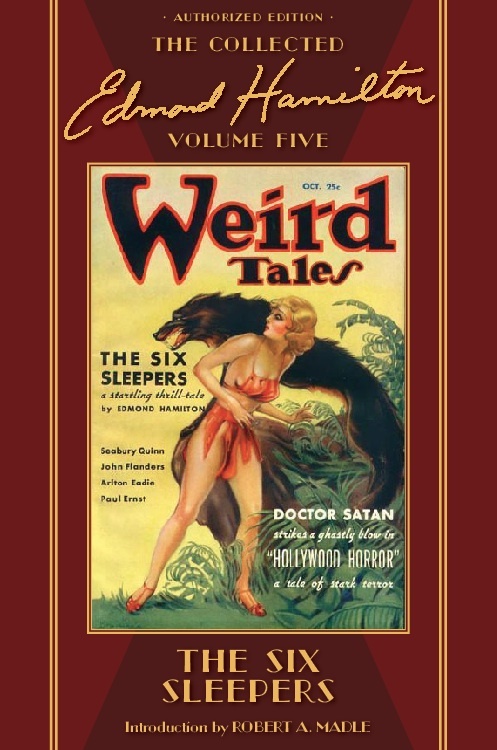 Here, Hamilton really put his Remington’s to the task with more stories for WEIRD TALES as well as some of his best work (which is to say some of the best work ever to appear in) for WONDER STORIES. Depending on the length of ephemera in the appendix, this volume may also see Hamilton crack the Tremaine-era of ASTOUNDING STORIES. 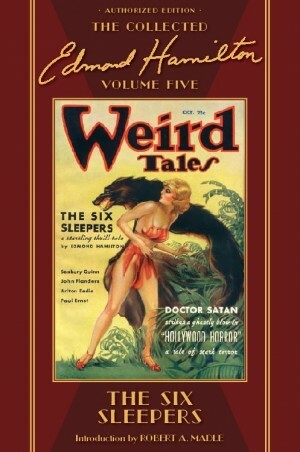 As with previous volumes in this series, an appendix showcasing the original pulp magazine illustrations also bulks large with obscura including reader’s letters from the vintage magazines commenting on these stories, along with editorial correspondence between Hamilton and his editors.